Some have simplified this phrase by encapsulating sacred as our religious experience and profane as everything “popular” and earthly, including our popular culture. Let’s go to the source of all wisdom, Wikipedia, which states that “the sacred–profane dichotomy is an idea posited by French sociologist Émile Durkheim, … the sacred represented the interests of the group, especially unity (through religion) … the profane, on the other hand, involved mundane individual concerns.” Especially interesting is that Durkheim “… explicitly stated that the sacred–profane dichotomy was not equivalent to good/evil. The sacred could be good or evil, and the profane could be either as well.” In other words, the sacred is that which transcends the everyday while the profane is the everyday (as one website I consulted puts it depressingly: “our jobs, our bills, and our rush hour commute”). 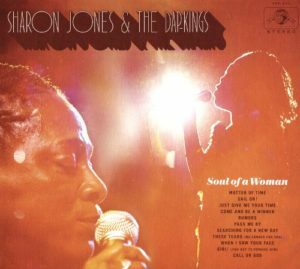 With this sociology lesson behind us, let me suggest two items of popular culture which I consider “sacred” and two others you may describe as “profane.” Two treasures of popular music, Miss Sharon Jones and Miss Mavis Staples, have graced the world with their voices over the last many years. Sadly, Miss Jones died last year but before she passed, she was working on new music. The result is the album “Soul of a Woman” which is a fine final recording by this fantastic singer and performer. Her album ends with a gospel wonder named “Call on God” which is a must-listen during these times. Miss Staples is, thankfully, still here and putting out challenging and important music herself. Her latest is “If All I Was Was Black” and it is the best of her recent collaborations with the producer and musician Jeff Tweedy of the indie-rock band, Wilco. The album is full of wonderful lessons and I recommend “Try Harder” in which Mavis acknowledges the evil within her and that she needs to “try harder” and not pretend that “she is as good as she will ever be.” A good lesson for all of us from one of the best teachers in popular music. I must also acknowledge my admiration for the “profane” in popular culture, including two recent TV shows – “Liar” on Sundance TV and “The Deuce” on HBO. “Liar” is a timely study of the effects of “toxic masculinity” in our culture and contains some great performances of some uncomfortable material. 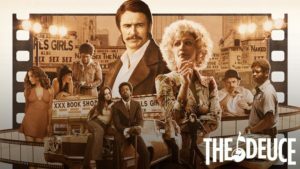 “The Deuce” is an immersive trip to the bad old days of the “skin trade” as offered in Times Square, New York City in the 1970s. In this series, we get the bad and worse, but somehow we find solace in the humanity of the characters, which adds up to an admirable and worthwhile combination of both the sacred and profane. Previous story Santa Claus Is Coming To Town!